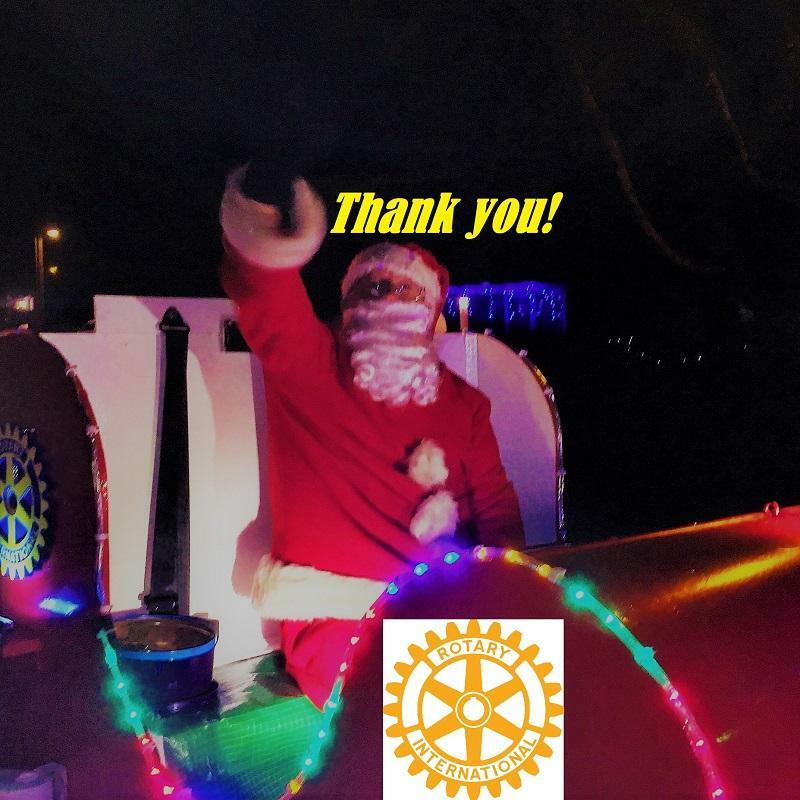 During December Santa and all his helpers from the two Rotary Clubs of Royal Wootton Bassett collected generous public donations totalling £4847. A further £1212 will be reclaimed under the Gift Aid scheme raising over £6000 for local causes supported by Rotary. The expectancy and delight of youngsters, parents and residents of RWB, Lydiard Millicent, Purton and Lyneham, made the dark, cold and wet evenings a pleasure to be part of Rotary in our Community.